Aloha is a British brand that supplies you with all sun protection needs.From SPF8 to SPF50 you will be covered with their wide range of products that include lotions, children's sun protection and aftersun. 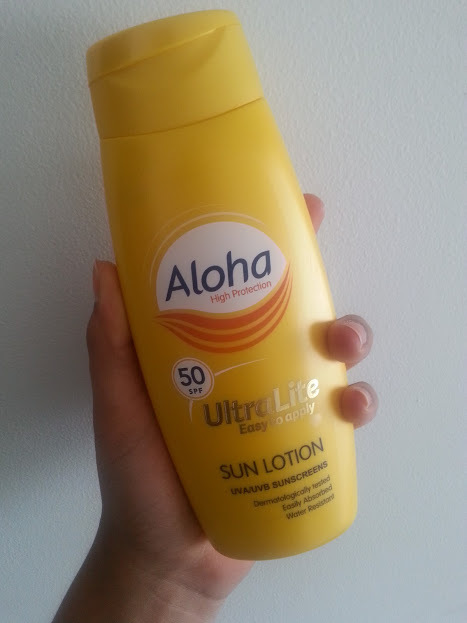 Their newest range is a UltraLite range and in this post I will be reviewing the Sun Lotion*. What Makes Aloha UltraLite Different? Well, this is what I was thinking as well. The UltraLite range has been developed to give you protection from the sun along with it feeling amazing on the skin. As soon as it is applied to the skin it will absorb quickly to leave it dry-to-touch and the best part? No greasiness. 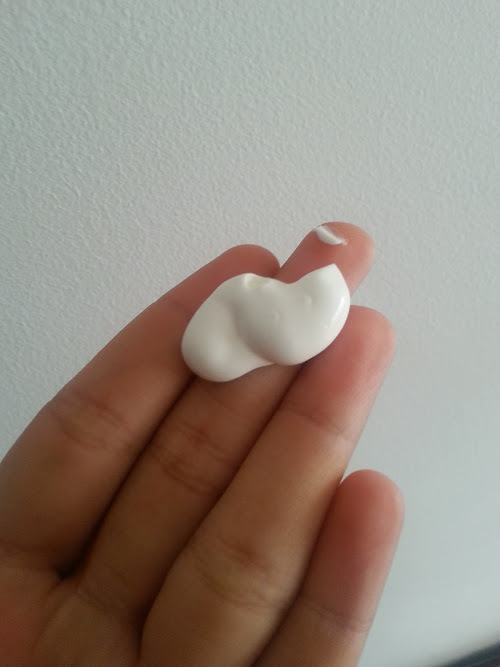 As you can see from the image above the sun lotion is a very thick consistency and this worried me at first because surely non-greasy lotions shouldn't be this thick. Don't be alarmed however, once you apply it to the skin and rub it in then it disappears slowly and doesn't feel as thick. 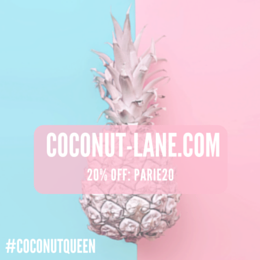 It sinks into the skin really quickly, on my dark skin leaves a white sheen so I know where I have applied it but after that goes and I am left with no feeling of lotion at all! I went with the SPF50 because in the sun no matter how strong it is, I prefer to be fully protected rather than only half/a little bit. The type of sun care you go for is up to you, the factor you get is also up to you but please remember your sun care when on holiday or even out in the sun. It is very important to stay protected and be aware of the consequences if you aren't. The UltraLite range features an SPF 8, 15, 25 and 30 and 50. There is also a range for kids which contains a light blue shade to make it even easier to see where cream has been applied - making applying lotion fun! 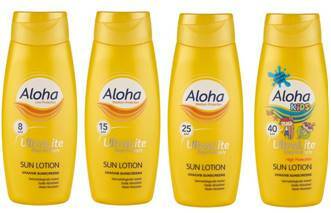 Aloha UltraLite is priced from £2.99 (250ml) and is available in Savers stores nationwide.